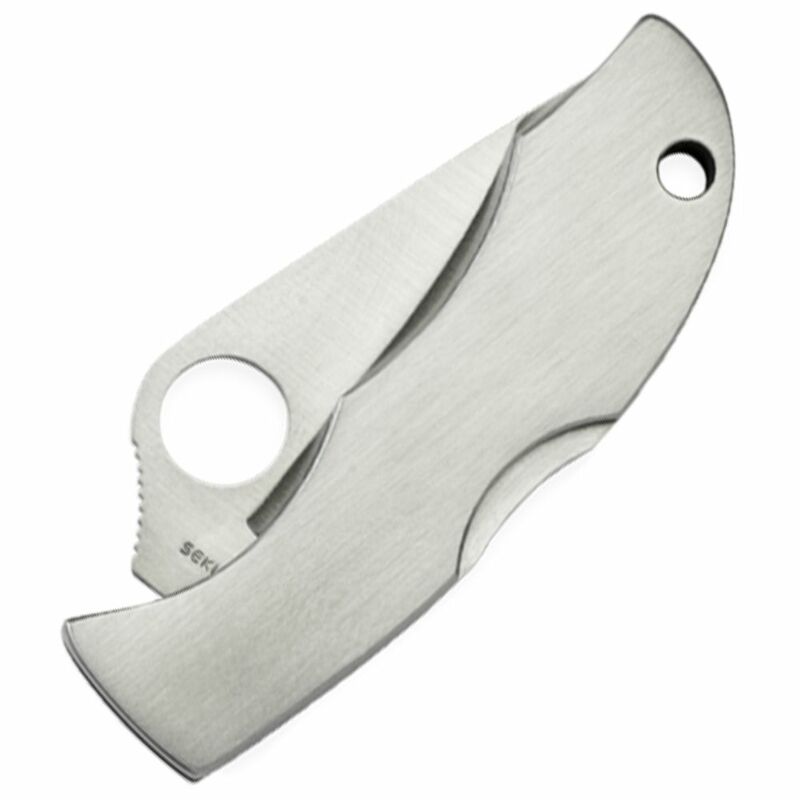 The new Spyderco etched Ladybug is a fusion of function and beauty. 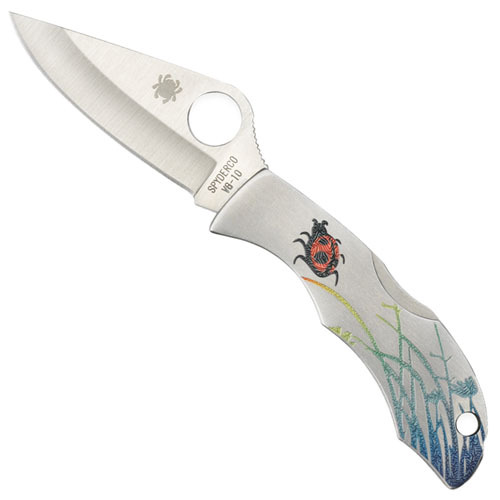 Its stainless steel handle is etched in a multi-chromatic scene featuring a red ladybug in colorful grasses. Because of the Ladybug’s small stature, there are purposeful design features incorporated into the handle to fit all sized-hands and provide optimal control and comfort when gripping the folder. This is achieved through refi ned handle ergonomics and additionally by chamfering the handle’s perimeter, squaring of edges to eliminate pinching when gripping the folder tightly. It has a Plain Edged blade made of VG-10 stainless, hollow-ground with textured jimping along the spine to secure the blade in-hand, making it more resistant to slipping.